Civil engineers keep coming up with wonderful and amazing engineering products. One of the main factors that they need to consider is cost efficiency of the particular project. How to save materials and how to utilize them smartly are very important. However, no one saw this coming. 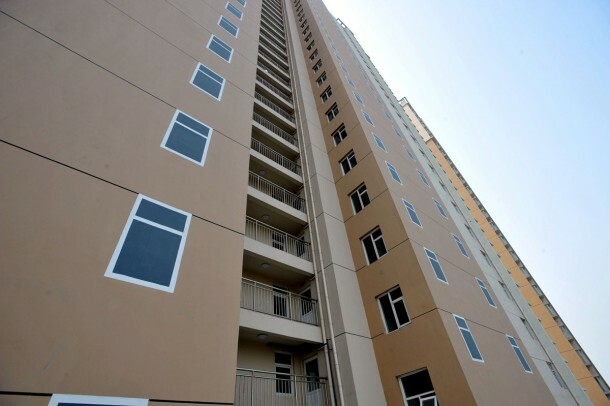 In China, new apartment complex has been constructed in the city of Qingdao and is being mentioned in news these days because of its peculiar nature. Why? Because to cut down costs they have removed the windows and now all that you’re left with is a painting of a window on the outside and a wall behind it. 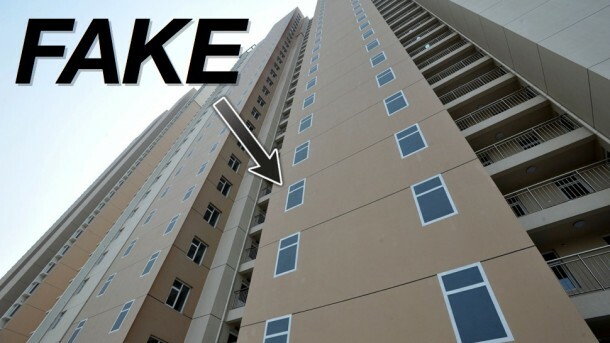 Looking at the building from a distance will make you believe that these windows are real. However, if you’re standing close enough one can easily tell that the window has been painted. China is advancing and the price of living in China is increasing as well. Government had to take action and it chose to construct apartment complexes in order to provide homes to its citizens. This is also a step which the government has taken towards urbanization. There is a high demand for low cost residences in the city and these particular apartments were constructed to meet that need. However, windows have been left out to save some more money. We believe that although being peculiar this idea won’t kick off since living in apartments such as these, one craves for sunlight and fresh air. Then there’s also the habit of looking out of one’s window and we think people living in those apartments will get bored of seeing the wall over and over again.What do you think of this new trend in China? Tell us in comments! Consider how much money will also be saved by not having to install suicide nets. Those are stairwells. You can see the Real windows around the corner are lower in elevation. It is only done to make the building look nicer. With no windows there is no natural light therefore they need lights in the rooms which means more electricity needed. Cost saving on windows is a short term saving the cost to power darkened rooms will be an ongoing burden to the economy. I think it’s better to install some real windows randomly with fake ones. That way, people will get enough sunlight and the cost reduction will aso happen in the same time. Good for ornamental value but not a professional approach. There are many other possible solutions to make a building look good. Historically in Britain this has been used as a means of enhancing buildings without putting windows in so as to avoid Window Tax. What have civil engineers got to do with anything? It’s a skyscraper, not a highway! Structural engineers and architects are to blame for these shenanigans! Since the Chinese make the buildings over a fortnight probably they forgot to make windows and now just to cover all that they put in a cost cutting terminology. Thumbs down for the poor construction. It is sad that people have to live in such condition. This beats the purpose of healthy living. i think it’s also for aesthetics purposes, but i agree with you if they want to save they should have just avoided making a fake window. 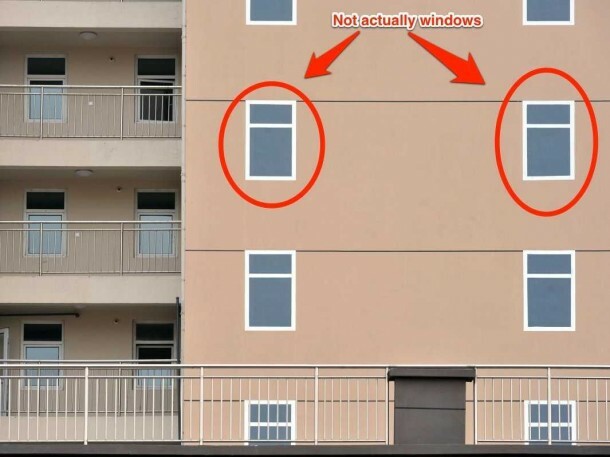 I don’t understand, why even bother with the Fake windows???? 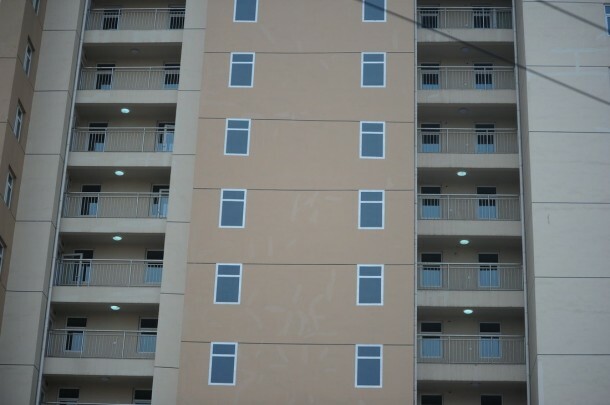 No windows mean no windows… they could’ve saved few more bucks by avoiding the painted windows too….